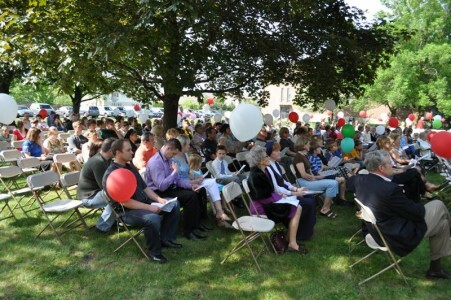 Lithuanian Americans celebrating mass outdoors. Photo by Audrius Remeikis. “It was our obsession,” Rita Wenzlow says of her early involvement with Lithuanian-American cultural organizations. She immigrated to the United States in 1949 during the Soviet occupation of Lithuania that lasted from 1944 to 1990. The largest wave of emigrants left Lithuania in the beginning of the occupation. To Wenzlow, her obsession with cultural organizations was an imperative linked directly to the preservation of a very uncertain future for her Lithuanian heritage. Wenzlowâ€™s involvement evolved throughout the years.Â After instilling the importance of heritage in her children, she shifted her focus from preserving Lithuanian culture in America to returning to her roots. She began an after-school program for homeless and abused children in Lithuania by drawing on her experiences as a schoolteacher in America. This story is part of a unique collaboration of nine Chicago area ethnic news media exploring the relationships between immigrants and their children. The stories were released in early June 2010 by Extra (Hispanic), the Polish Daily News, 4NewsMedia (Polish), Pinoy Newsmagazine (Philippine), Al Moustaqbal â€“ Future newspaper (Arab), India Tribune, Korea Daily News, Fra Noi (Italian), Draugas â€“ The Lituanian World-wide Daily, and Reklama (Russian). Click here to access the other stories: Health made harder: How Latino families translate the system, Dual citizenship gives new meaning to Italian Americans, For Korean-Americans, culture, too, is lost in translation, Learning to be a woman in the Arab-American community, Polandâ€™s air tragedy hits Chicagoâ€™s Polish youth, Filipinos turn to nursing homes for elder care, Reclaiming roots: Young Russian Americans find â€“ and preserve â€“ their identity, and Pursuing creativity, sustaining Indian culture. Lithuanian-Americans like Wenzlow have seen a transformation in cultural organizations from an urgent necessity in an international crisis to a tool that can be used to honor one’s heritage and give back. Beyond the bond of opposing occupation, community organizations have continued to grow and flourish through sports associations, folk culture clubs and groups catering to charitable and religious interests. The younger generations, however, have different objectives than their parents and grandparents. “There was a clearly defined purpose in my parents and grandparents day. But in my generation, there has been some question of what keeps us so strongly attached,â€ says Ausra Venckus, 27, who traces her American heritage to her grandparentsâ€™ immigration during the Soviet occupation during World War II. â€œWe are unique, because there was such pressure from our parents and grandparents,” Venckus says. While the sense of urgency to preserve the culture and language may be diminishing with the independence of Lithuania in 1990, it is not, however, any less important. Young people continue to be highly involved, some even more so than their parents. “My kids are much more involved,” says Daina Cyvas, who participates in an extensive list of activities, such as a Catholic youth group and folk dancing groups. She attributes this to the differing political climate. Rimas Griskelis, chairman of the Lithuanian Foundation, sees the surge in involvement as a function of technology and the growth of multitasking. During the German and Russian occupations of Lithuania throughout the 20th century, Lithuanian immigrants in America felt a threat to the future of their language and culture. To preserve cultural heritage, it was imperative to hold onto traditions through activities like Saturday schools, Sea Scouts,Â and youth associations. Irena Polikaitis came to the United States during the Russian occupation in the Cold War. She joined a parish in Marquette Park in hopes of maintaining her Lithuanian identity and fostering cultural growth despite the repression of the Soviet regime. Chicago has been a destination for Lithuanian immigrants since the early 1900s. According to the Encyclopedia of Chicago, the Lithuanian community numbered 50,000 by 1914, making the city the largest Lithuanian community outside of Lithuania. The 2000 Census counted 11,000 Chicagoans who claim Lithuanian first ancestry, while 80,000 in the metropolitan area claimed some Lithuanian ancestry. Audrius Remeikis, now 45 years old, spent 1989 and 1990 protesting for Lithuanian independence from the Soviet Union, which was on the cusp of collapse. What had been a cultural connection to his community became an intensely political crusade. His parents, who were born in Lithuania, encouraged his involvement, though Remeikis didn’t understand its importance at the time. That imperative, he says, has receded even further with todayâ€™s youth. “I think itâ€™s changed from when we were young. It feels like itâ€™s more of a social thing now,” Remeikis says. Like Remeikis, Venckus was pushed into cultural organizations by her parents. Where they wanted cultural meaning for her, she found camaraderie with her Lithuanian friends. The groups she participated in fostered a deep patriotic pride that she shared with her close friends, who understood that the experiences they had were not typical of mainstream American youth. Those involved were given opportunities to experience this dual identity in active and extreme ways. At the age of four, Venckus picketed federal buildings to spur U.S. involvement in Lithuania’s plight. Not many non-Lithuanians were involved or even aware of their neighbors’ activities. Family involvement fostered Lithuanian interest in many American-born Lithuanians growing up. Daina Matusaitis was pushed by her parents to speak Lithuanian at home and join groups to maintain her cultural identity. While Matusaitis grew into it, even adopting the practice in raising her own children, she says her brother thought their parents pushed too hard. He’s no longer involved in the Lithuanian community, and doesn’t feel the comfort and long-lasting connections that his sister values in her life. The generation struggling to find a way to involve their children are met with many reasons why today’s youth might not want to be involved. Cyvas enjoyed her Lithuanian upbringing and wanted to foster the same cultural appreciation in her children. “I was kind of dragged in, but willingly. Iâ€™m quite happy that I was,” Tomas Cyvas, her 15-year-old son, says. He has found a strong friend base in the community and says he “absolutely loves” being involved. His mother has seen from raising five children and from the experiences of others in her situation that children need to be introduced to these organizations before kindergarten. Her children appreciated their experience in the Lithuanian Catholic Youth Group and now use that as a leg up on their resumÃ©s. But this could be taken even one step further, with the opportunities afforded such a close community. “Our oldest son is at graduate school at Loyola [University]. Heâ€™s looking to get a job in business, so the first thing that comes to mind is ‘what Lithuanians do you know in business? '” Cyvas says. One underlying question in all of this is the sustainability and direction for the community. Just because a political movement isn’t relevant doesn’t mean the organizations should cease to exist. But to what end? Tadas Stonkus realizes a need at the University of Illinois at Chicago for a Lithuanian Student Association. This creation was motivated by social reasons and a desire to make it easier for Lithuanian students to navigate university protocols and make business connections. Alumni from the association come back to the club as professionals and offer advice and assistance to students interested in their field. Another organization with a foundation in networking, Lietuvos IÅ¡eivijos StudentÅ³ StaÅ¾uotÄ— (LISS), has stepped in to address the rising needs of the communityâ€™s youth. One of its core missions is to institutionalize the networking between the youth and professionals in the field. This Lithuanian internship program gives Lithuanian-American students the opportunity to travel to Lithuania to work in their field of interest. Students choose a program and are able to work in Lithuania for one to two months. The internships are intended to give Lithuanian-American students a cultural experience in the nation of their heritage, and also professional experience. In the end, it’s hard to say what will keep youth coming back to participate in the community. 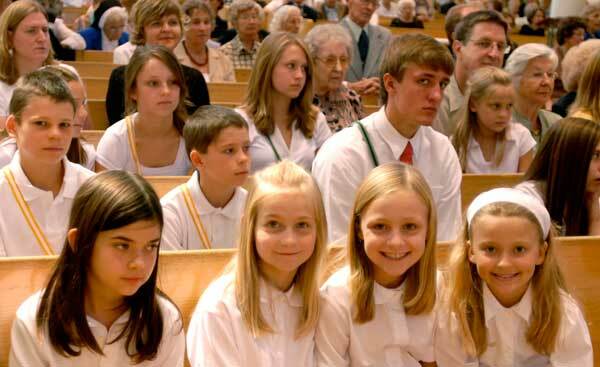 Today’s youth may not be participating in cultural organizations to preserve Lithuania, but their desire for professional connections, personal relationships, and a “double-life” identity keep the Lithuanian-American community in Chicago active and lively with strong participation from all generations.